The New England Outdoor Center welcomes the addition to the Katahdin Region of more than 100,000 acres of land for recreational access by Elliotsville Plantation Inc., known as the Katahdin Woods and Waters Project. There have long been numerous reasons to visit the Katahdin Region of Maine and now Elliotsville Plantation Inc., has contributed to these reasons with a very unique offering: More than 100,000 acres of land east of Baxter State Park is being opened for expanded recreational access. Called Katahdin Woods & Waters, the project by Elliotsville Plantation Inc., (EPI) opened more than 40,000 acres of privately held land for hunting while expanding access and recreation opportunities on an additional 60,000 acres. The New England Outdoor Center views this as a very significant contribution to the area known as the Katahdin Region by some, The Maine Highlands or The Maine Woods by others and now also the Katahdin Woods and Waters Region. 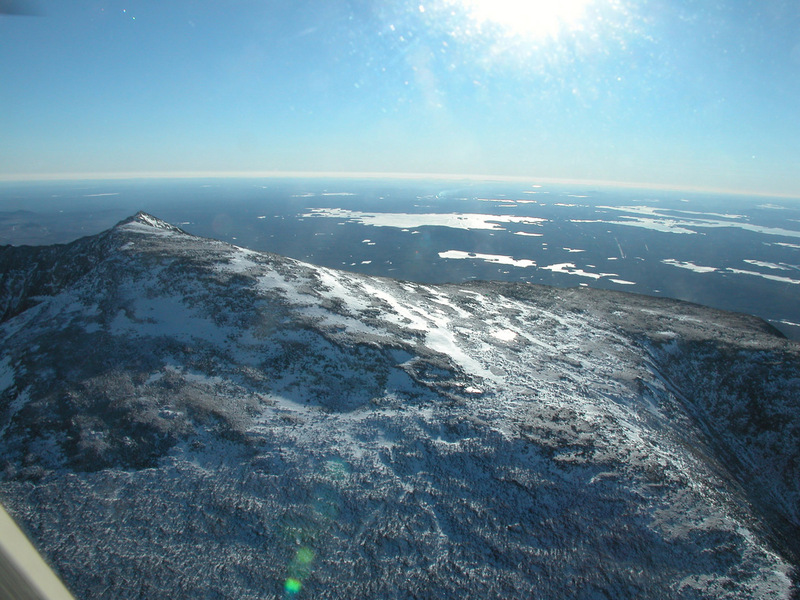 Many people visit the area for the expansive network of wilderness regions that are accessible through Millinocket, including: Baxter State Park, a wilderness area of over 200,000 acres with numerous mountain peaks and ridges, the highest being Baxter Peak at 5,267 feet; the Debsconeag Wilderness Area a 46,271-acre preserve, Debsconeag meaning "carrying place," named by native people for the portage sites where they carried their birch bark canoes around rapids and waterfalls; the Nahmakanta Public Reserve Land which encompass 43,000 acres of sprawling forests and low mountains, and; the Allagash Wilderness Waterway a 92-mile-long corridor of lakes and ponds, rivers and streams stretching from the south end of Chamberlain Lake north to the village of Allagash, where the Allagash River flows into the St. John River. Now the Katahdin Woods and Waters project adds an additional 100,000 acres to the region for hunting and recreational activity, also providing an 18-mile loop road soon to be open for public access. The road provides scenic views of Millinocket Lake and Katahdin and the opportunity for wildlife viewing, including moose, eagles and deer. No specific plan exists for the Katahdin Woods And Waters Project to become a new national park and adjacent national recreation area, but the concept under discussion with local residents, businesses and stakeholders statewide would be for a national park of up to 75,000 acres west of the East Branch of the Penobscot River for fishing, hiking, paddling, wildlife watching and scenic views, and a national recreation area roughly the same size on the east side of the river for those activities plus snowmobiling, hunting and other traditional outdoors activities. The opening and expansion of these additional recreational areas further amplifies the Katahdin Regions ability to allow regular people access to the exceptional scenery and vistas provided by Mother Nature, a true nature experience unparalleled in East Coast of the United States. The New England Outdoor Center “NEOC” is uniquely situated at the heart of this new but ancient hub of wilderness experience. Registered Maine Guides are available at NEOC to assist journeys into the wilds of Maine, be it by foot, canoe or snowmobile. In addition the hotel style accommodations in beautiful lakeside cabins provide all the comforts of home on Millinocket Lake. An onsite, award winning restaurant The River Driver's accommodates any food and nutritional needs for individuals and groups. The New England Outdoor Center, Maine’s ultimate getaway is uniquely situated to showcase Maine's natural beauty and provides access to spectacular outdoor adventures year round. NEOC offers a variety of accommodation and experiences on the doorstep to Maine’s North Woods. Hiking, Nordic skiing, fishing, whitewater rafting and snowmobiling are just a sample of the activities the New England Outdoor Center can provide for all ages and abilities. Resort facilities include hotel style accommodation and full service lakeside cabins, meeting space, a recreation hall with table tennis, a games room, and a sauna, a basket ball and volley ball court, numerous fire rings on the point overlooking the lake and award winning River Driver’s Restaurant right on site open year round, serving breakfast, lunch and dinner. For more information, visit http://www.neoc.com or call 1-800-766-7238.